Ayogya is an upcoming film, that has Vishal and Raashi Khanna in the lead roles, while R.Parthiepan, KS Ravikumar, Pooja Devariya, Yogi Babu, MS Baskar, Anand Raj, Sonia Agarwal and others play crucial supporting roles. The film is directed by Venkat Mohan, and produced by B Madhu under the banner Light House movie makers LLP. Sam CS is composing the music, VI Karthik is cranking the camera, while Ruben is handling the cuts for this thriller. Ayogya is the official Tamil remake of the Telugu film Temper, that had Jr NTR in the lead role. The makers have just announced the release date of the trailer of the film. The trailer will be out on 19th April 2019, and the film will release on May 10. 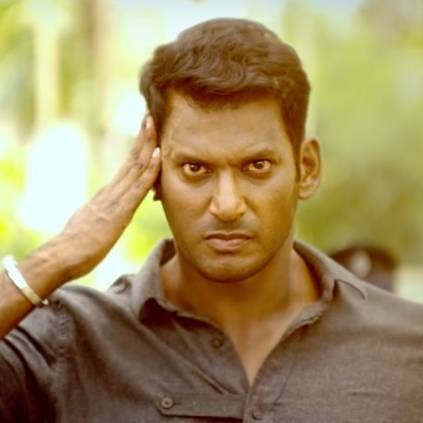 Vishal was last seen in the film Sandakozhi 2, directed by Lingusamy, which was also the 25th movie in Vishal's career. He is currently shooting for an untitled project, directed by Sundar C and produced by Trident Arts. Rajini -க்கு குரல்கொடுத்த Vishal - அரசு பேருந்தில் நடந்தது என்ன? People looking for online information on Ayogya, Venkat Mohan, Vishal will find this news story useful.